Jeff VanVonderen, Dale Ryan and Juanita Ryan understand this problem because they have been there both personally and professionally. 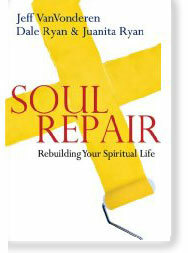 And they are prepared to help you rebuild your spiritual life. 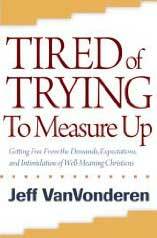 If you find yourself living out a burdensome and unfulfilling spirituality, this book is for you. If you are longing to have a relationship with God that works, this book can show you the way. Giving the reader an understanding and language to talk about their woundedness from experiencing the misuse of power and authority, and tools to recover and move on. Now in it’s 18th printing! Help and hope for the chemically dependent person, with equal attention paid to recovery for those who are in relationship with the addicted person. Explores the dynamics of shame and grace in family systems. Understanding of and recovery from the effects of shame, shame-based relationship systems, and the exhaustion of living the “give-up/try hard” cycle. Helping the reader understand how dysfunctional relationship skills learned in former relationships can be passed on to current and future relationships (in this case, the church), how to prevent this from happening, and how to recover if it has happened already. This book is only available as a PDF download. We have no more printed copies.